Take a peek at the beginning of Phase Two of the Marvel Cinematic Universe. For those like myself who wondered how the Marvel superheroes would fare returning to their own franchises after appearing in the epic adventure The Avengers, the trailer for Iron Man 3 should set minds at ease for the time being. Directed by Shane Black, who co-wrote the screenplay with Drew Pearce, the trailer reveals a film with a darker tone in comparison to the previous two installments. 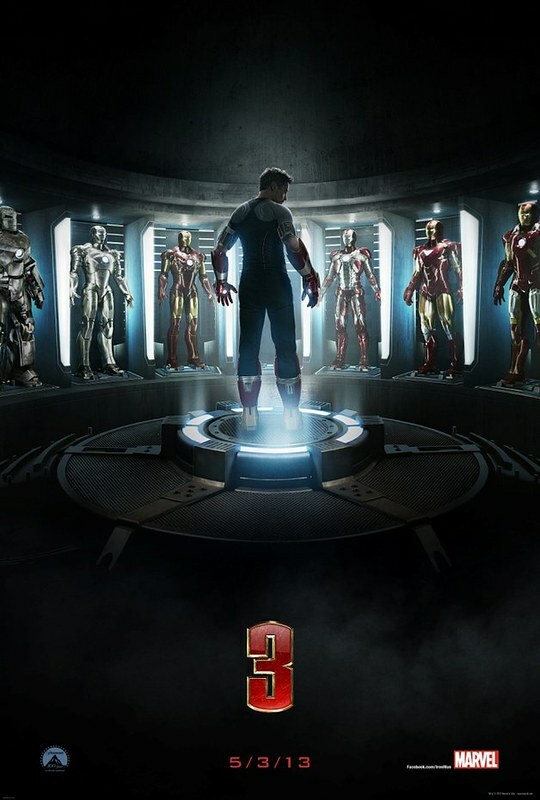 Tony Stark (Robert Downey Jr.) seems deeply affected by the events that took place in New York (helping to stop an alien invasion), but he has little time to deal with his existential issues because of the villian known as The Mandarin (Ben Kingsley who makes an interesting choice in the way the character sounds). Debuting April 2013 outside the U.S., which gets a May 3, 2013 release date.